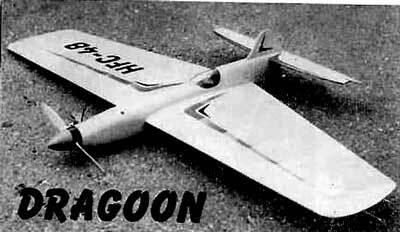 ASSAGAI; ($13.00) 1968 British Combat design by Alan Thompson. 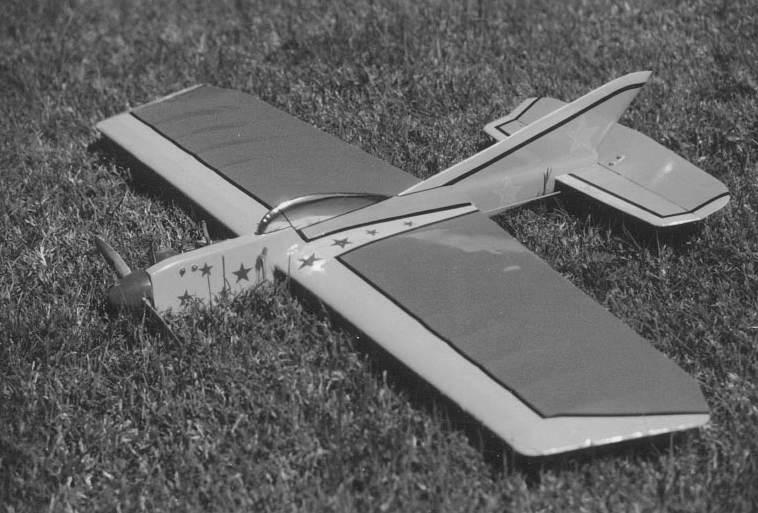 33.75" wingspan, 261 sq.in. 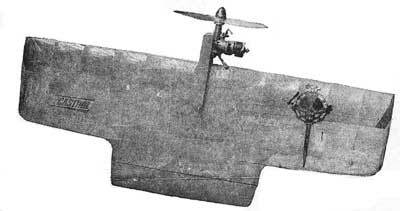 flying wing, side mount. 2.5 cc Diesel. 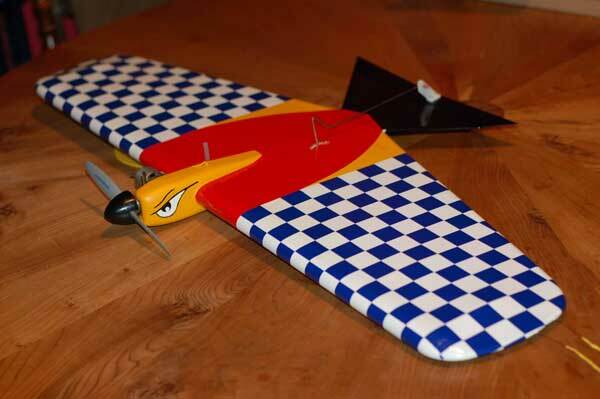 BARON; ($18.00) (2 shts) Modelhob's full fuse, flapped, 3.5cc (.21) stunter. 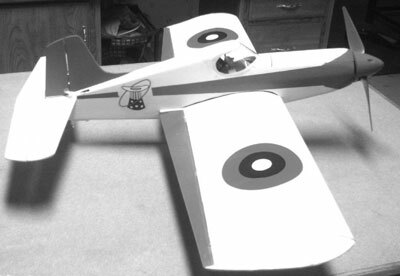 40.5" wingspan, 375 sq.in. Looks like a great flyer. COMBATEER; ($14.00) Veron Kit plans. 38" span, 255 sq.in. 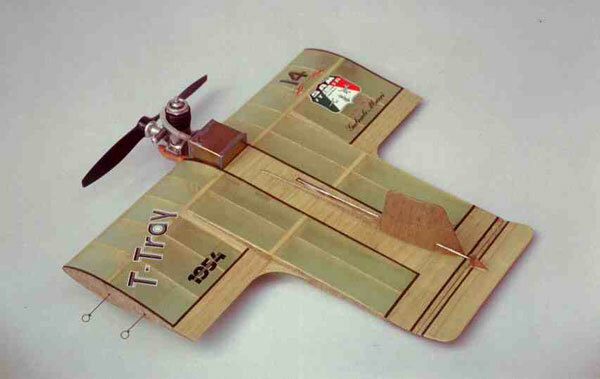 Box fuse flapless sport/stunt model. Recommended engines 2-5 ccs. 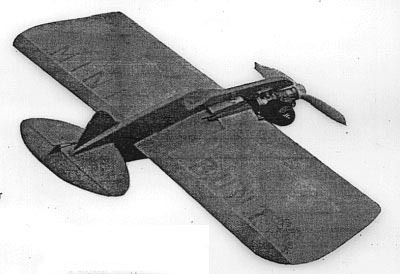 CUTLASS; 21" span, 115 sq.in. 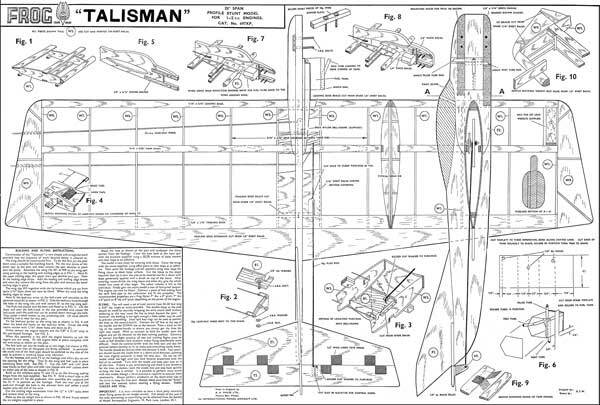 swept flying wing designed for 1.5cc engines. 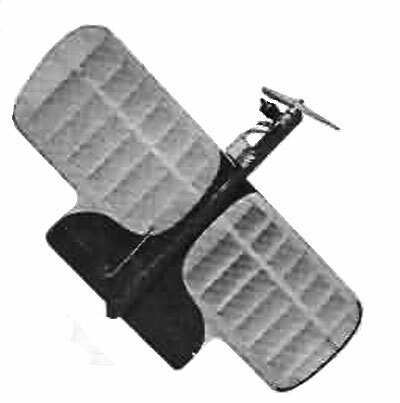 AeroModeller 6/64. ROGUE: 34" span, 245 sq.in. 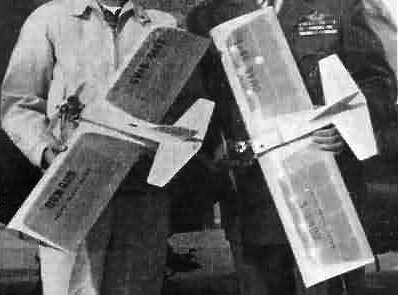 2.5-3.5cc engines. Knock-off of Wooten's WHATIZIT. 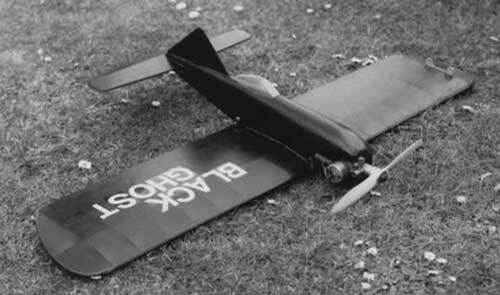 Designed by AeroModeller's staff, 1958. 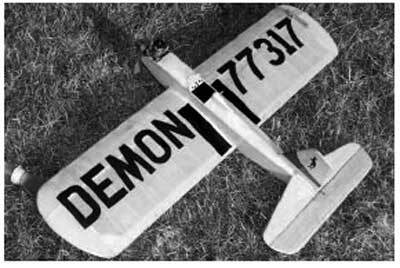 SIMPLE SIMON; 28" span, 168 sq.in box fuse stunter for 1-1.5 cc engines.W.P. Holland design. 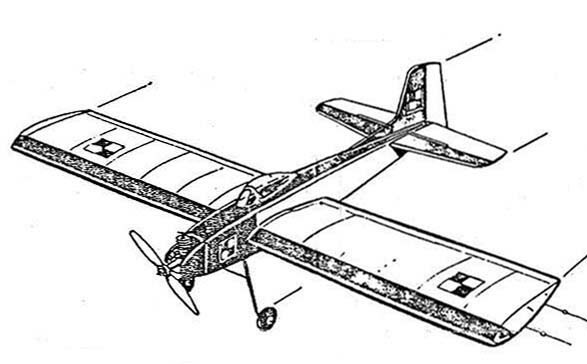 AeroModeller plans 1960. 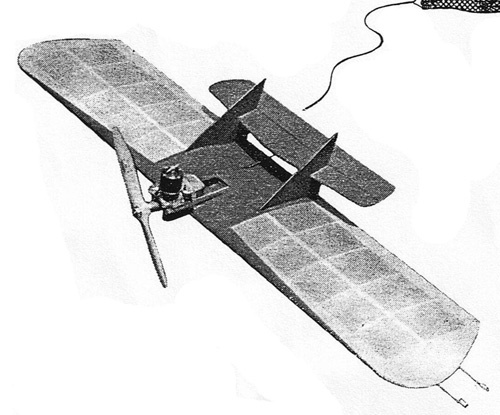 STREAMER SCREAMER: Flying wing design by D. Sparkes. 35" span, 240 sq.in. .15-.40 power. 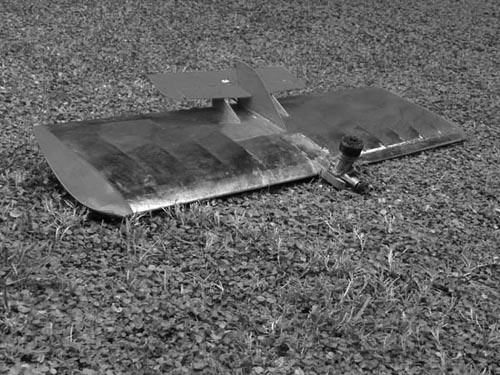 Aeromodeller plans 12/70. 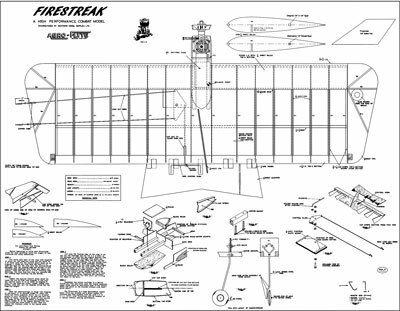 FIRESTREAK; ($14.00) Aero Flyte plank flying wing kit from Australia. 38.5" span, 402 sq.in. 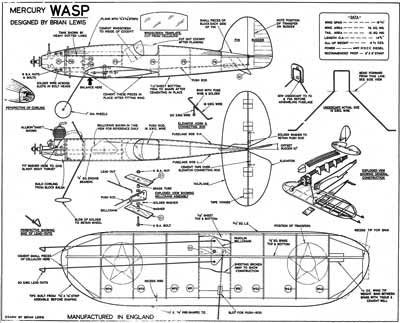 Kit plans. 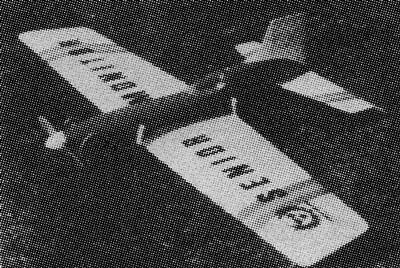 ca 1959. GLADIATOR: ($13.00) Frog's forward swept stunter similar to the Dmeco SPORTWING. 36" span, 317 sq.in. 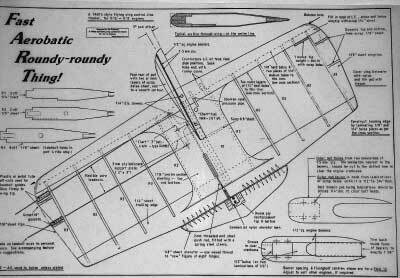 Kit plans. 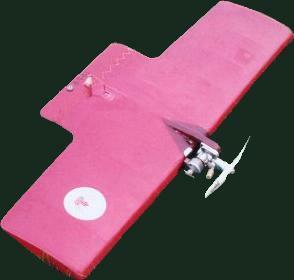 IRONMONGER; ($14.00) English FAI flying wing. 33.5" span, ~280 sq.in. Designed by Richards Evans. 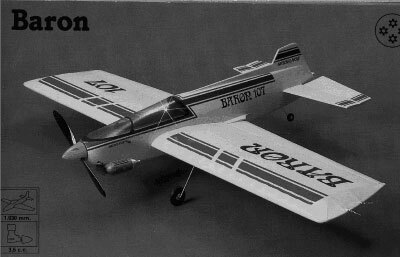 1972 Combat International winner. JAGUAR; ($14.00) FAI combatter, highly tapered Trailing edge, sidemount, stab/elevator.6.5" span, 360 sq.in. 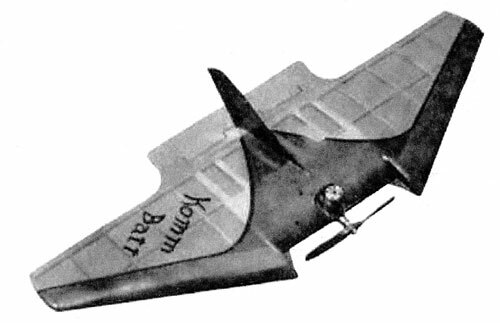 Bob Morgan design. 1973. NORTHROP F-5; ($18.00) (2 shts) 54" Span, 540 sq.in., European design. Beautiful semi-scale ship. 1980 .35-.45 engines. 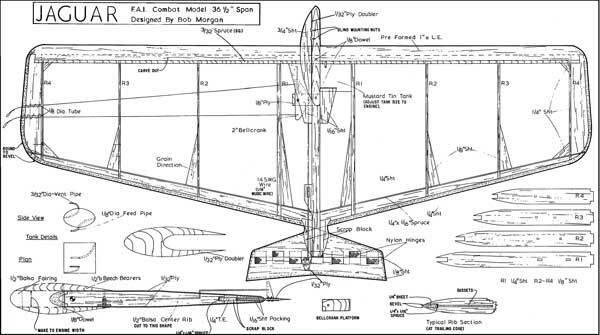 Modelhob kit plans. PAGAN: ($14.00) British OT Stunter designed by John Coasby. Span 46", 346 sq.in. 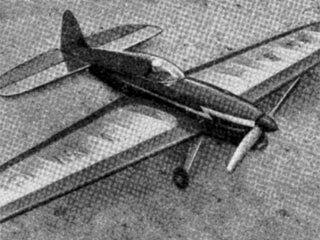 5-6cc engine, Aeromodeller 1951 annual plans. SEPTEMBER WARRIOR; ($13.00) 2.5cc Combat model designed by B.R. 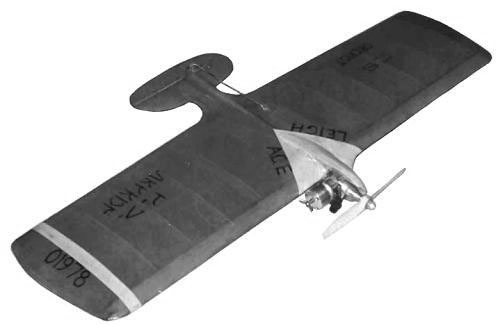 Bumstead, 30" span, 225 sq.in.. Model Aircraft, 11/63. SMOUSEN; ($18.00) (2 shts) Spanish profile, 38" Span, 330 sq.in. 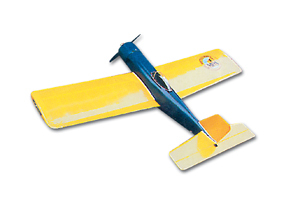 Excellent flying .15 size model. 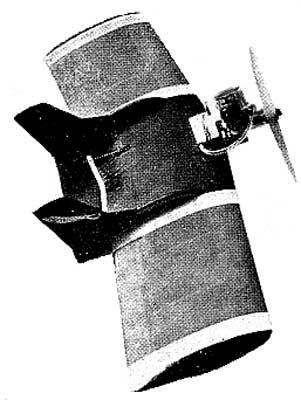 Modelhob kit plans. 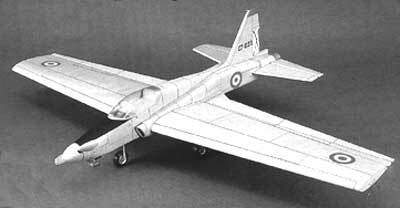 SWORD; ($14.00) British Combat wing from Aeromodeller 10/57 by J. Templeman. 33" span, 366 sq.in. including whale tail. 2.5-3.5 cc engines. WARLORD; ($13.00) English 2. 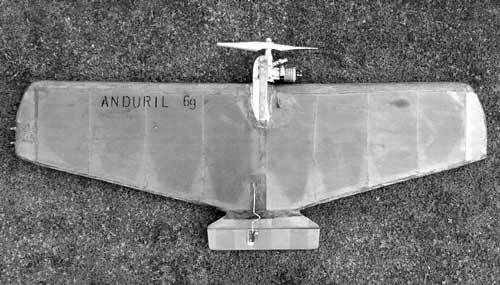 5cc (.15) whale tail flying wing. Designed By Vernon Hunt. 32.5" span, 280 sq.in. 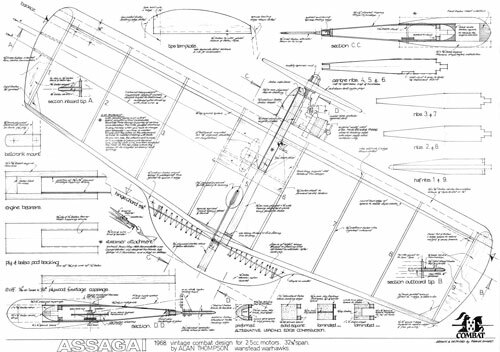 CAD plans. 70 and 71 British Nats winner.